Reid has been ‘provisioned’ for the NBN to replace our Telstra exchange lines. This is via the ‘fibre to the node (FTTN) technology. 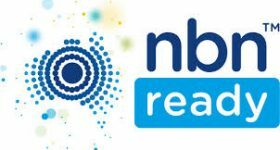 We all have 12 months from the original notification that we all (should have) received to make arrangements with an NBN retailer to supply our phone service and broadband Internet service – by early 2019. After that, Telstra shuts off its service. At present, our telecommunications services reach us via copper wire from the Braddon exchange to ‘pillars’ in the nature strip around the suburb – there are some on the south side of Currong Street. From the relevant pillar copper wire then runs to each house served via underground ducts and ‘pits’ set into the nature strip. The copper wire to and within Reid is old and fault prone. Cable joints have deteriorated and the performance of the cables varies as water intrudes and current flows causing heating and cooling of the cable and joints. Symptoms include crackling on voice calls and internet (ADSL) speed variation and drop out. Recently three repairs were made in one week dealing with our intermittent faults to the line between our premises and the relevant pillar. There were multiple faults on the lines between the pillar and the exchange. Despite the repairs the faults have returned each time. Telstra’s fault reporting system seems reluctant to acknowledge and attend effectively to these faults – perhaps because there is nothing in it for them now. It may be pertinent that once the NBN takes over, all the (now faulty) wires between the exchange and the pillar will become redundant and those between the pillar and the premises will belong to NBN, which has arranged to buy them from Telstra. Reid’s NBN service (via a retailer) will be provided by NBN optic fibre to a ‘node’ (there is one in a new green cabinet on the southside nature strip on Currong Street) and then by (new) copper to the pillar and thence by existing (aged and fault prone) copper wires from the pillar to each house. This last link may augur badly for the quality of our FTTN services, and we will need to rely on our chosen retailer’s capacity to get NBN to fix future faults that develop or re-emerge.